Created by Ernesto Perez-Carrillo, who also created La Gloria Cubana Cigars, E.P. 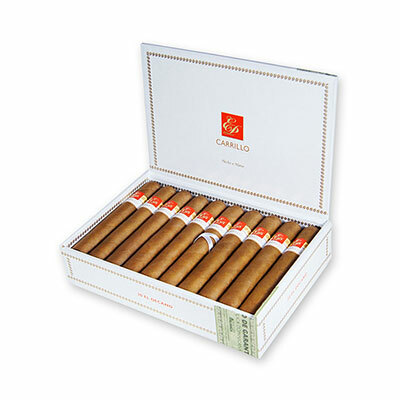 Carrillo Cigars are a medium-bodied cigar that features a creamy and rich flavor. His winning blend is created with complex long filler Nicaraguan, Piloto Cubano tobaccos. E.P. 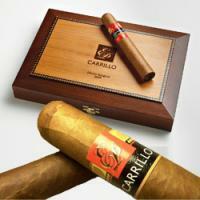 Carrillo cigars feature both a Dominican and Nicaraguan filler, that is aged for 5 years plus it is bound and wrapped with a 3 year old Ecuadorian Habano wrapper. The flavors are complemented with notes of cedar, coffee and spice that will surely win you over. Order your box now, as sure to become a collectors item, as they are very rare and hard to keep in stock.